If you’ve ever launched a website before, you know that there are a lot of moving parts and important steps to take. We’ve compiled this list of steps you’ll need to consider when launching a website. One of the first and most important steps in launching your website design is to make a plan. Quite often excited local business owners jump to designing their website without taking the time to consider their options and plan, which is a costly mistake. By creating a proper plan in the beginning, you can map out exactly what you need to accomplish so that you don’t end up backtracking or changing work you’ve already done later in the process. For example, if you need an online store, you don’t want to make it to launch day only to realize that you didn’t add a link to the store anywhere on your homepage. Planning the site in advance will help avoid this. Once you know what your website will do, you can start writing content. This is the fun part! Make sure to think about your customer and how you want them to perceive your brand. Are you very serious or can you infuse some humor into your writing? What types of things are important for your customer to know about you? Are there special things that set your business apart from the competition? These are important things to include in your website content. Once you have the layout of the website prepared and know what copy you will use, it’s time to start to designing. The design stage is the part of the process when your ideas start to come alive. Make sure to give the designer enough room to do their best in the first round of design. It can be helpful to provide the designers with other websites you like and to explain what you like about them. Once the designer provides you with designs, make sure to give very specific feedback. Sayings like “the image doesn’t pop” doesn’t mean anything specific to a designer. You would want to say something more specific such as, “I’d like the people to be smiling” or “I think it would look better if we used a photo of someone outside in the sunshine.” These are the types of feedback designers need to provide you great concepts that match your vision. You’ve approved the content, designed the page, and now it’s time for the developer to start connecting the pages and building the site. Coding a website is a complex process, so make sure you leave them enough time for the technical team to do a good job. Bad code can be a headache for years to come, so make sure you take the time to do it correctly the first time. Make sure to add website analytics to the website so that you can track the actions your website visitors take. Even if you don’t intend to use this data immediately, you will want to make sure you are collecting the information for future use. This data can help you make changes to improve your website in the future or understand how your customer uses the website. A good internet marketer can help you interpret the data and make data-driven decisions about how to improve your website experience for visitors. Once the developer has connected all of the pages, it’s very important to test all of the links. You’d be surprised how often this step is forgotten! Clicking through the links, reading through the content and making sure things function properly helps ensure your final product is polished and professional. If you have forms or an online store, make sure to test these as well. Once you’re confident that the site is ready for public consumption, it’s time to push it live. Making a website live is typically a step you would want to handle during a period of lower traffic, often late in the evening or early mornings. You did it! Now it’s time to tell the world about your work through your social media channels and email lists. 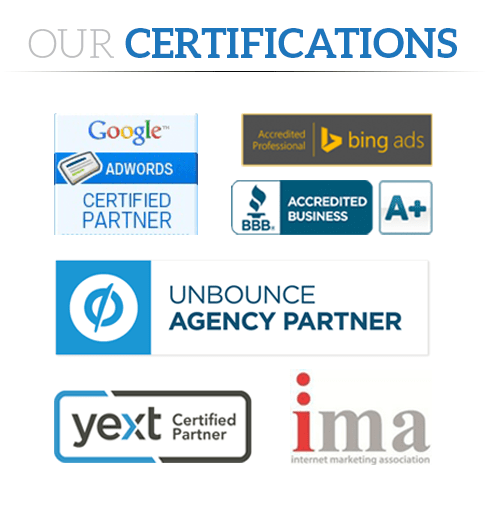 If you need help during this process, OnPoint Internet Marketing can help!